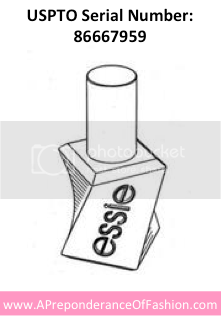 This new Essie gel couture bottle is a patent pending design; it will also be protected via trademark law. As with all new products, intellectual property protection is important. And Essie clearly knows it. The shape of this bottle is clearly unique. Essie says the bottle design is meant to resemble the The stem inside has an s-curve design too. These at-home gel nail polishes do not need to be cured with a UV light. Instead, you use the polish above as a top coat. 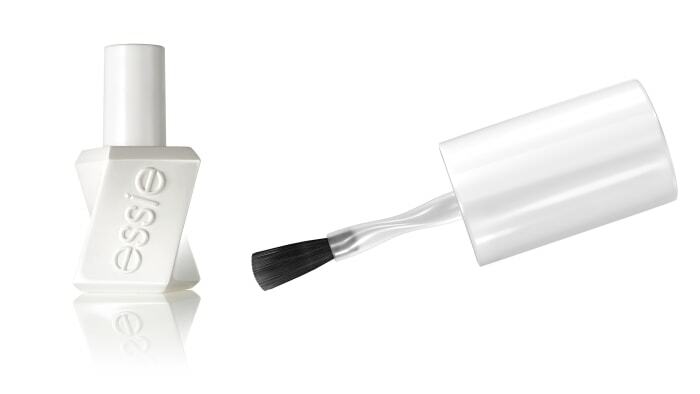 The curve of the nail polish brush can better hug the bottle curve. Essie gel “couture” branding decision. The word couture is a staple of any fashion lexicon. Unfortunately, the definition of couture is sometimes misused. Essie’s use of couture in its current gel couture line is wrong. Couture is a term opposite of ready-to-wear fashion. Couture clothes are made to each individual client’s measurements and specifications. Should Essie’s misuse of the couture term be considered deceptive advertising or false advertising? Essie’s use of “couture” is wrong but I do not think it is illegal. I do not think the term is being used to misrepresent the product. Nor are consumers understanding the word couture as its true definition. I also do not think the use of this word in advertising will bring in more customers. Essie gel couture colors include choices that are pretty and professional. You can shop these Essie polishes on Amazon. What I wish the Essie gel couture line provided. I wish the Essie gel couture line actually provided some individualism. Instead of fixed colors, Essie could have sold these polishes in a set. And within that set include individual color mixers. Then consumers could customize colors for a more true couture look. Sort of like the Essie silk watercolor kits.